By now nearly everyone has heard of the “placebo” effect, particularly as it pertains to medicine. Just a reminder: The Placebo Effect is an inert substance (sugar pill) or otherwise medically ineffectual treatment for a disease or other medical condition for which the patient has a perceived or actual improvement in their medical condition. People suffering from chronic migraine headaches or lower back pains for years have been “cured” after being given a “new experimental and promising drug” which actually turned out to be simple sugar pills. So I was rather surprised the other day to read about the Nocebo Effect. In medicine, a Nocebo reaction or response refers to harmful, unpleasant, or undesirable effects a patient experiences after receiving an inert dummy drug or placebo. Nocebo responses are not chemically generated and are due only to the subject’s pessimistic belief and expectation that the inert drug will produce negative consequences. An extreme example of nocebo effect would be someone who dies of fright after being bitten by a non-venomous snake, thinking it was poisonous. We humans are pretty complex! Well, learning about the Nocebo Effect got me quickly thinking about the power of negative belief in relation to strategy execution. 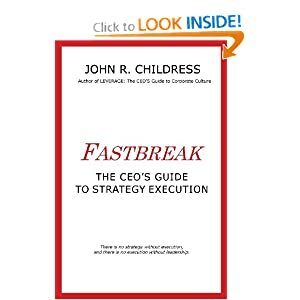 I have seen numerous companies with pretty good strategies and experienced leadership teams and employees fail miserably at strategy execution. Much of the fault of poor execution lies in a lack of robust and disciplined business processes, especially in relation to strategy governance, accountability and cross-functional teamwork. 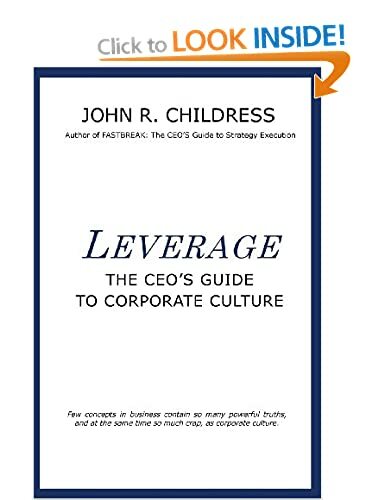 But one of the things I have also been noticing in my work on strategy execution, is the power of a cynical and pessimistic culture and how those pervasive habits of negativity, lack of trust, and low expectations, can bring even the best business processes to a grinding halt. Over time some organisations can develop extremely strong pessimistic and cynical cultures. And as a result, nothing will ever really improve, because they hold such strong negative beliefs about new leaders, new ideas, new processes. Here is the Nocebo Effect in business! Excellent training, excellent business tool and processes not taking hold due to strong beliefs that “nothing is going to change”! This is one of the key reasons that over the years we have addressed strategy execution and turnaround assignments by focusing on “culture reshaping” as the first order of business. Companies don’t change until people change and since organisations tend to be “shadows of their leaders”, the shift in culture and beliefs has to start at the top. As my mentor used to say, either change the leaders or change the leaders! This entry was posted in consulting, leadership, strategy execution and tagged business process improvement, health, john r childress, leadership, leadership team, medicine, mental-health, Nocebo effect, Placebo effect, research, science, shadow of the leader, snake bite death, strategy execution. Bookmark the permalink.